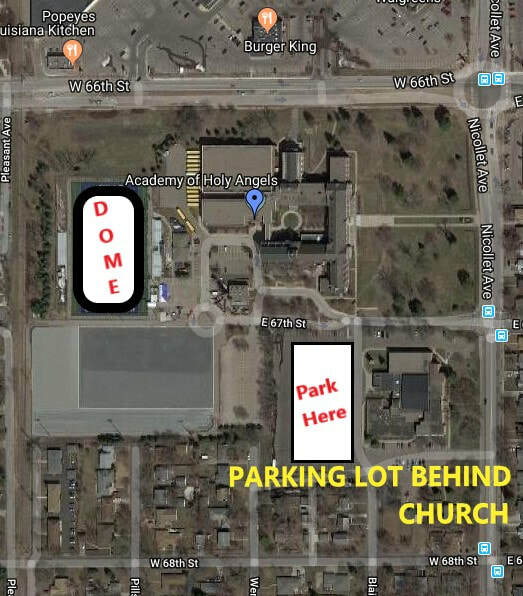 ​Parking Note: Parking is allowed ONLY in the un-numbered spaces in the lot adjacent to St. Patrick's Catholic Church, on the southwest corner of the school/church complex at 66th & Nicollet. ​Click on "Directions" for directions from your location. Click on "Directions" for directions from your location. Please do not come to this field without prior instructions from the league. We use this park ONLY when we have a rain-out at Round Lake. There is ONE diamond here and we need to limit the number of players. Thank you! Click on the "Directions" icon for directions from your location.